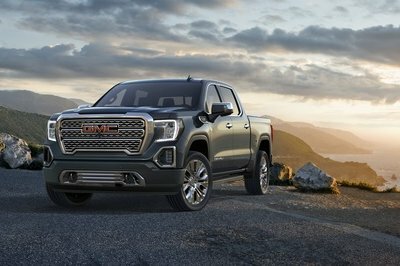 GMC is trying to make that squared-jaw grille a common face across models. I think it looks quite good on the big vehicles, but the Acadia is a different story. The Acadia now comes with C-shaped LED headlamps, which gel well with the chrome grille. The hood has gotten beefier, thanks to the sharp, muscular creases. The headlamp housing also receives chrome treatment on the border. For someone like me who absolutely hates blingy chrome, GMC has introduced the AT4 trim. The AT4 is offered with a black chrome finished grille and slightly more aggressive styling bits in the front. 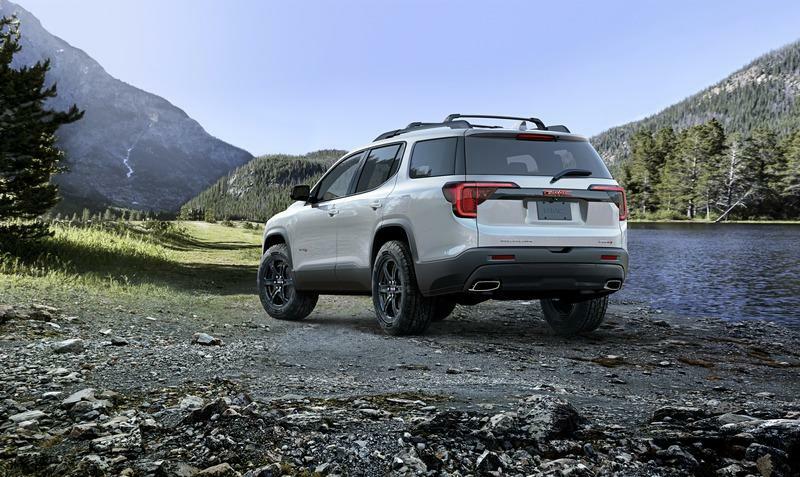 This makes the 2020 Acadia the first utility vehicle in the company’s portfolio to feature an off-road trim. The squared-off wheel arches complement the boxy theme of the SUV, giving it a butch, truck-like look. It rides on 17-inch wheels as standard, while the AT4 trim is available with 20-inch wheels as an option. The black plastic cladding makes sure the metal body remains intact when you decide to get adventurous, and the LED turn indicators are now neatly integrated into the wing mirrors. GMC has tweaked the taillights around back as well. The rectangular exhaust pipes have replaced the circular smoke pipes from last year's model while the strip connecting the taillights, the reflectors, and the number plate remain the same. The last difference is the shark fin antenna replacing the antenna stick. 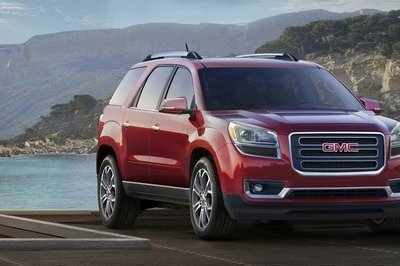 All-in-all, these subtle changes make the Acadia a much smarter-looking SUV than the outgoing model. The cabin layout is the same as the outgoing model with a few exceptions here and there. The new Electronic Precision Shift that replaces the shift lever has freed up things a little bit. Basically, you just get an extra cupholder. The console, otherwise, looks very pleasing. Some may find it to have a little too many buttons all around, and the new shifter does add to the clutter. Overall, the automaker has used soft-touch materials in the cabin that seem to be of good quality and will last long. 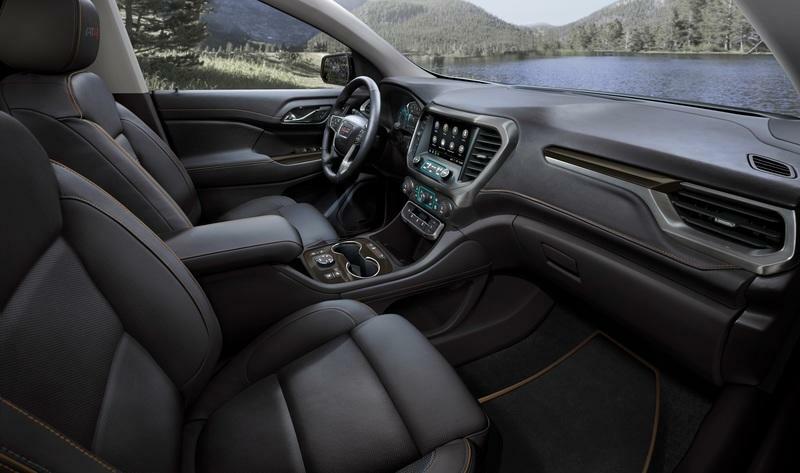 The top-of-the-line Denali trim comes with a unique interior color scheme with new, open-pore wood decor. The front seats have enough cushioning to keep you comfortable even on long drives, but what makes these seats even better is the extra under-thigh support. Its a boon for tall drivers with a relaxed, laid-back driving position. The second row is a little tight, but things are not that bad. The second-row is offered with captain chairs in most trims, so things are hunky-dory. But, if you opt for the bench instead, you will feel the dearth of space. The Acadia feels a little congested if you have three people sitting in the middle row. Talking about the third row, it is almost non-existent. It feels like GMC scooped a little space from the second row, a little from the cargo, and installed two punishment seats. Because of this, all three dimensions are adversely affected. The cargo space is negligible at 12.8 cubic-feet with the third row in place. 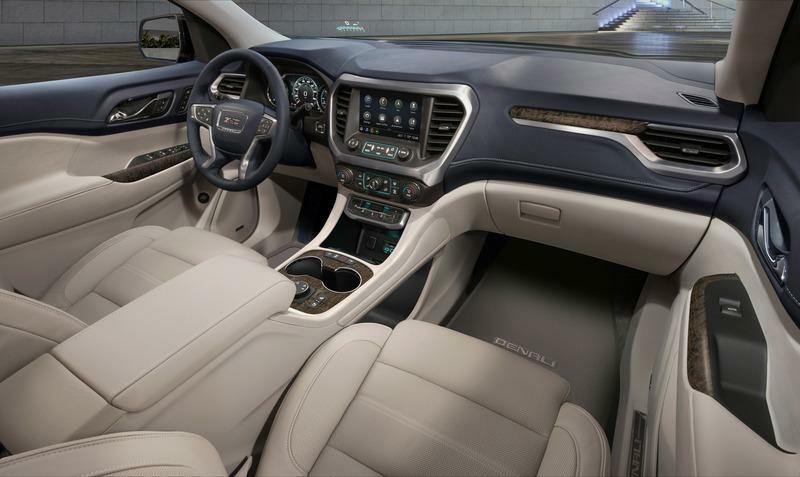 The 2020 Acadia benefits from the latest GMC infotainment system that offers greater versatility and personalization. This eight-inch touchscreen incorporates features like voice recognition, navigation, and climate settings. It is highly customizable, and you can create up to four profiles that can be assigned to the Acadia’s key fobs. It will automatically reset the preferences for the incoming driver. Pretty neat, huh? As for the navigation, you will have to subscribe to the Connected Services. GMC has introduced a new 2.0-liter, four-cylinder turbocharged engine to the Acadia's lineup. 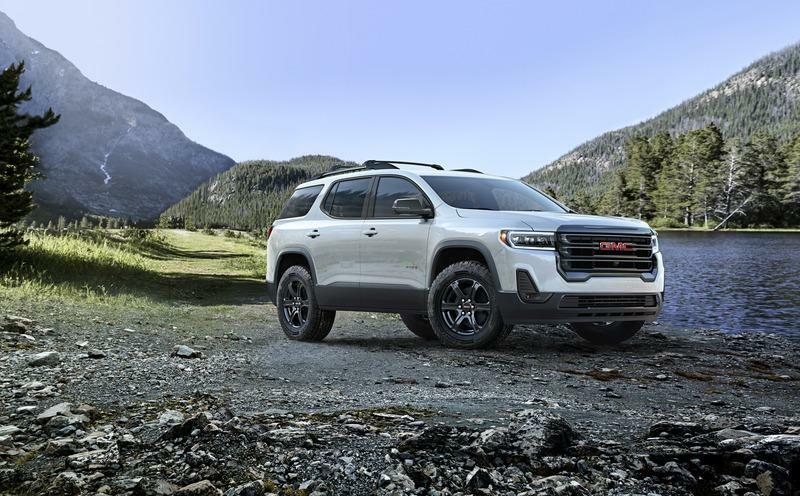 GMC has replaced the All Terrain trim with the more capable AT4 trim. The AT4 is offered with a slightly different all-wheel-drive system that includes a twin-clutch setup with torque-vectoring. 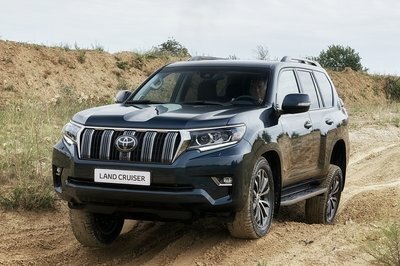 The AT4 is plonked with the 3.6-liter engine, while the new engine finds itself canoodling in the SLT and Denali trims. The 2.5-liter mill is used in the base SLE trim. GMC claims to have re-tuned the suspension on all the trims for better ride and handling, which we will know once we test the car. Regardless of your engine choice, GMC will shove a nine-speed automatic transmission in your Acadia, replacing the six-speed gearbox from the previous model. However, the automaker has ditched the gear lever inside the cabin in favor of an electronic shifter. Not sure how well this goes with even the general folks, let alone the purists. This set of buttons and triggers is shared with the Terrain and does free up the space between the seats. We hope the Acadia collected enough responses from consumer testing to go ahead with this arrangement because when it was spotted in Acadia’s sibling, it received a mixed reaction. The price for the 2020 GMC Acadia as not been revealed as of the time of this writing. The 2019 Acadia began at $31,000, so we speculate an increase of $1,000 for the base trim, while the top-of-the-line Denali trim could touch the $50,000 figure. The newest kid on the block has actually managed to garner a lot of success within a couple years of its inception. 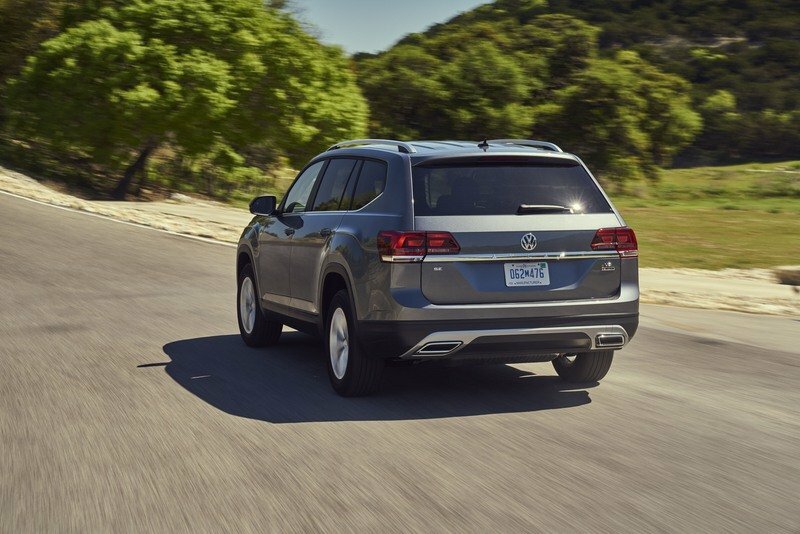 The Volkswagen Atlas an all-around package with equal bits of features, comfort, space, and performance. This makes the SUV have a larger customer base and a wide target market. The Atlas does not look small from any angle. It knows its bulky and does not bother to hide its immense size. 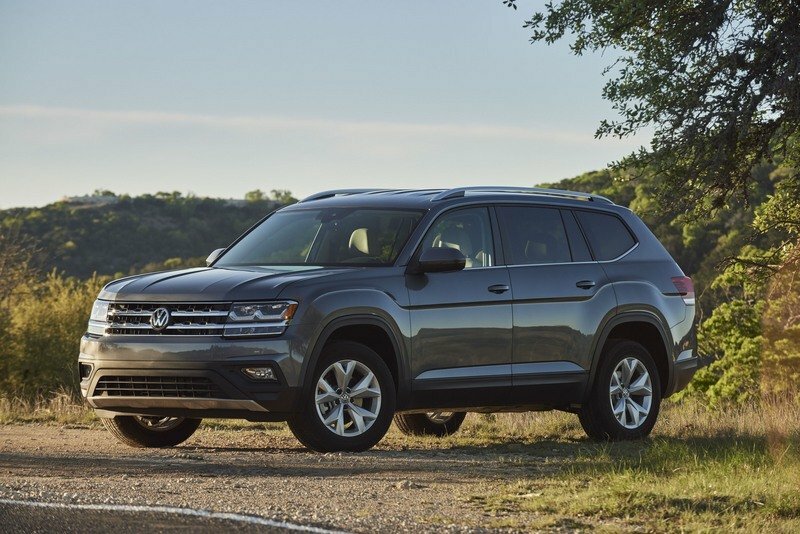 The Volkswagen Atlas is available with one of two engine options - a 2.0-liter, four-cylinder that churns out 235 horses and 258 pound-feet of torque or a 3.6-liter, V-6 engine that puts out 276 horses and 266 pound-feet of torque. The former is available only with front-wheel drive. Although ride and handling are quite good for a vehicle of this size, the engines are a letdown, to say the least. Despite decent on-paper specs, the engines cannot overcome the curb weight of the Atlas. Had it not been for the capable eight-speed automatic transmission, the Atlas would have been a bummer. It is a good urban commuter, but a lazy highway driver. Couple the 4,500-pound body with seven passengers and a week-load of luggage, and the Atlas will gasp for breath. Not to mention the fact that the V-6 is a guzzler. The Highlander is a veteran and knows how to cater to the highly volatile market. 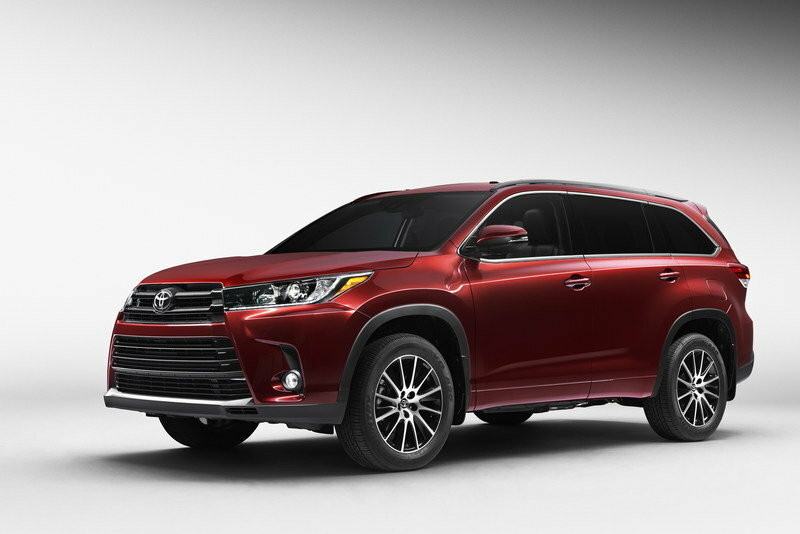 After spending 18 years in the segment and transforming from a mid-size SUV to a three-row family hauler, the Highlander, today, is one of the most versatile SUVs on the market. Despite being around for a very long time, the Highlander does not look dated on the outside. The SUV is proportionate from all angles and will probably continue to age gracefully. The Highlander’s USP is its comfortable and practical cabin. The front seats are soft and supportive even for long highway drives. The second row is equally spacious, and you can either choose the Captain seats or a flat bench. Both configurations provide equal comfort with good legroom and headroom. 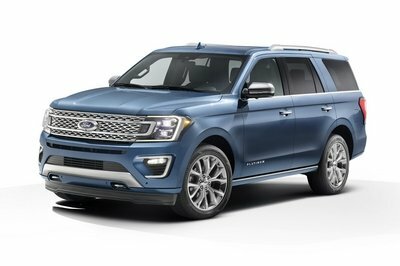 Unlike the Volkswagen Atlas, the third-row is best suited for kids or adults for short rides. Ingress and egress to the third row is cumbersome, so expect it to be used to haul luggage or be flipped down most of the time. The cargo area is not very spacious either. 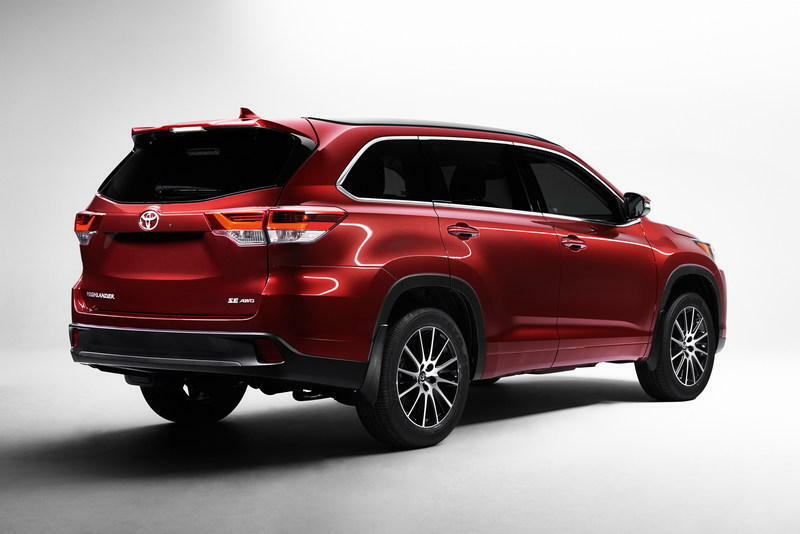 However, the Toyota Highlander is one of the safest seven-seater SUVs out there on the market today. The Highlander is offered with three engine options - a 2.7-liter, four-cylinder mill, a 3.5-liter, V-6, and a hybrid that uses the latter. The four-banger makes 185 horses and 184 pound-feet of torque, while the V-6 produces 295 ponies and 263 pound-feet of torque. The hybrid, on the other hand, churns out 306 horses. The overall ride quality is just about okay, but things are not pretty in the so-called "sporty" SE trim that has tightened suspension. 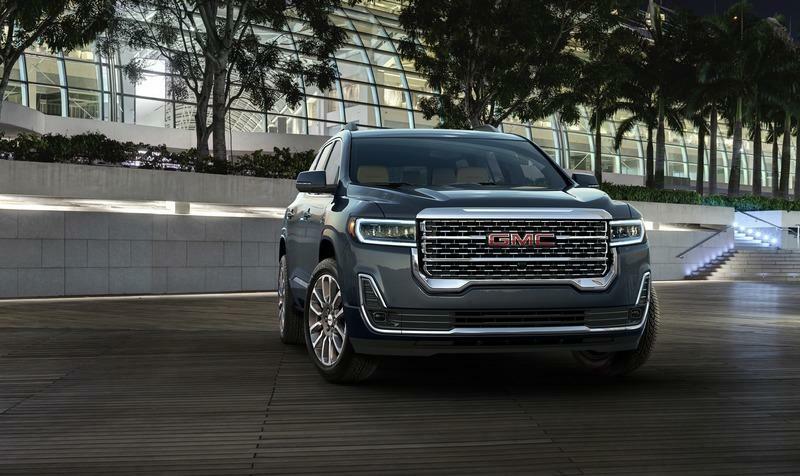 The 2020 GMC Acadia is certainly a much-better package compare to its predecessor. The 2020 model looks more in line with the other GMC products, offers better technology, and the best of all, features a new, potent engine. 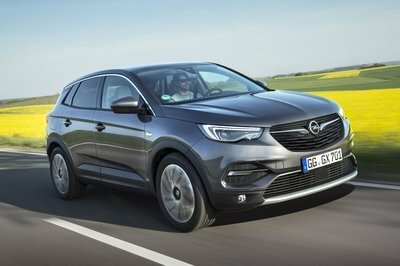 The seven-seater SUV might finally be on the brink of a breakthrough and could turn out to be one of the strongest competitors in its segment. The 2020 GMC Acadia should hit showrooms in the fall of 2019 and will be built in GM’s Spring Hill, Tennessee, assembly plant. 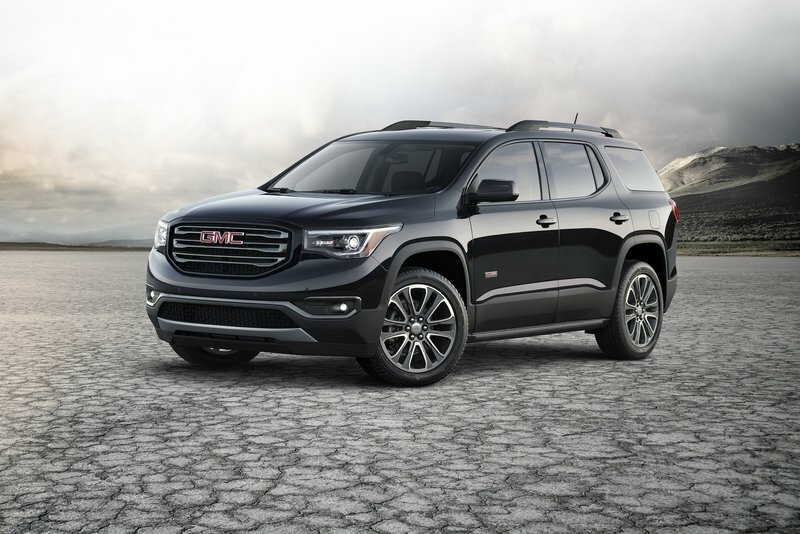 Read our full review on the 2019 GMC Acadia. USB-C ports.Two new USB-C charging ports are integrated in the front and rear of the center console. That brings the number of ports in the Acadia to five, including a USB-A charging port for the third-row seating area.